Participants arrived early morning from across the country for their yearly offsite. A delicious spread of food was arranged for them before they could check-in. 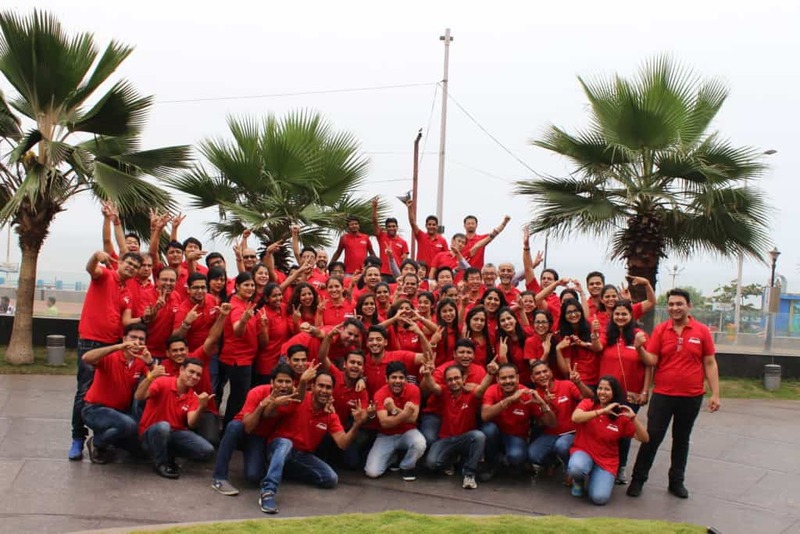 The offsite was aimed at achieving “One Team, One Mission” goal. The Thought Bulb team had planned a series of challenges for the team throughout the day to bring the mission – “One Team, One Mission” come alive. It all started with getting the group in high energy mode. Thought Bulb facilitators enthused energy in the group through a series of ice-breakers. This helped break the ice between participants who haven’t known each other well enough (because of different office location/departments). A Million Pixel Challenge fosters teamwork by pushing individuals to contribute to a grand VISION through ART. The group was divided into smaller teams, and then each team was given all the required equipment like canvases, painting kits and other essentials. Their inner Artist was at work. The TASK for each team was to replicate a picture (which is given to each team) on the canvas. All the teams had to replicate a specific image on canvas. Teams, after exhibiting their skills and creativity through art, were then asked to place their canvases in such a way that together the canvasses form one big picture. Every single canvas must get their image right, for the overall picture to form. That’s the beauty of it, every part is vital for team Success. Message was loud and clear, collaboration and inter team communication plays an important role in Organization’s Success. This activity gave them enough content to talk about during the lunch time. In the second half, participants were challenged to don the roles of CHEFS through “The Master Chef” Challenge activity. 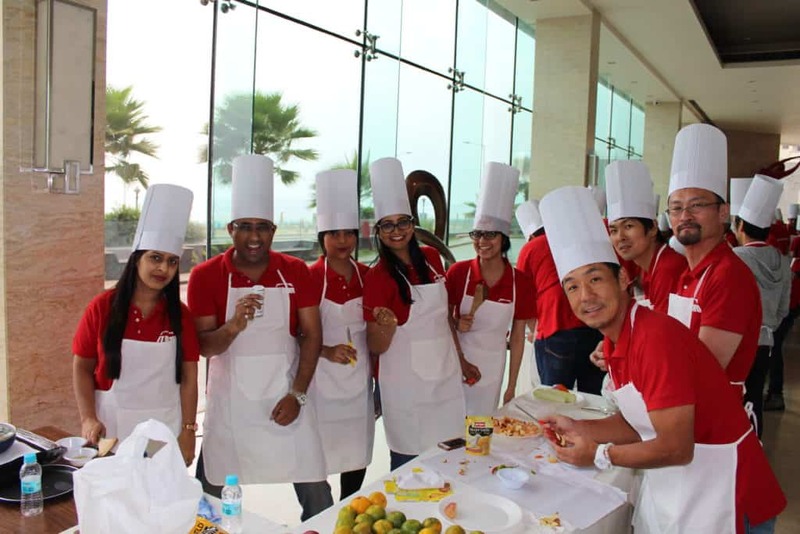 The Master Chef Challenge mentally stretched the participants to be a “Chef”. A Chef’s job is easier said than done. The group was divided into smaller teams and the teams then had to take part in an Auction where they contest to pick food items and ingredients according to their dishes. The TASK was to cook new and sumptous dishes quickly and efficiently. But the challenge goes beyond their ability to cook well. The challenge asks for people management, conflict resolution skills and ability to multitask, the things which the Chefs probably do at their workplace. Teams, after cooking, presented their dishes to the Head Chef of the five star hotel. The team with the most delectable and well presented dish, won. This marked the end of Day 1. On day 2, the theme was Yoga, an Indian system of exercise. 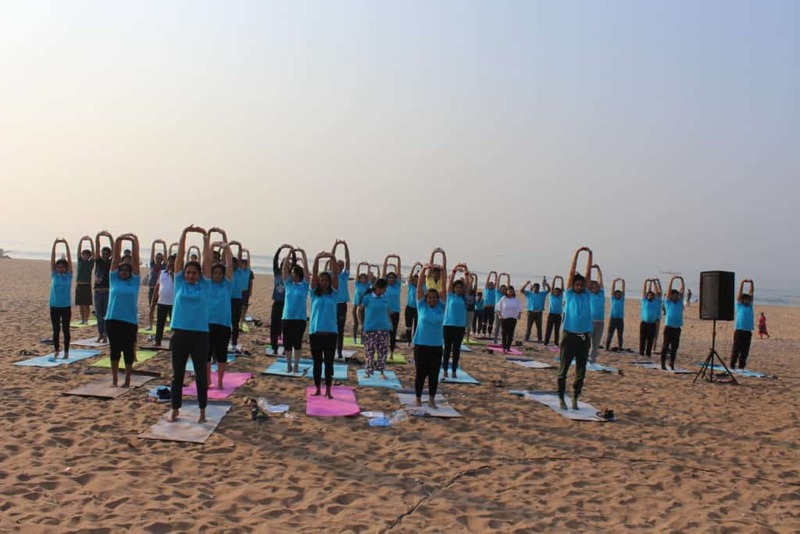 A traditional Yoga workshop was organized at the sun kissed beach. Participants experienced the power of Yoga through 20 plus body postures. This was followed by Pranayaam (Indian Breathing exercise). All in all, the offsite was a blend of fun, learning and excitement. Do you want to plan an outbound, write in to us. Let our team design your team offsite agenda.